Gov. 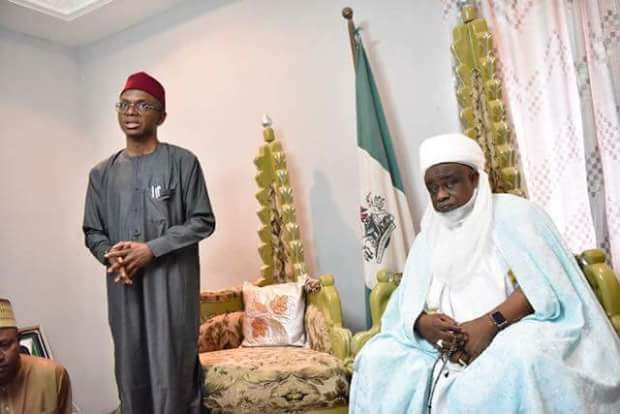 El-Rufai visits Birnin Gwari, assures communities that terrorists will be defeated – Royal Times of Nigeria. 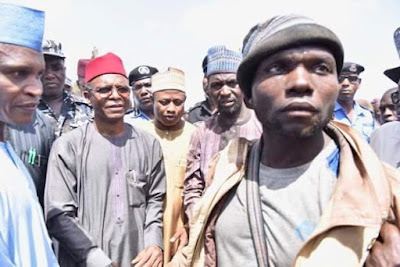 Kaduna State Governor, Malam Nasir Ahmad El-Rufai on Monday visited communities in the Birnin Gwari Local Government Area where armed hoodlums had killed several persons. The Governor who arrived Birnin Gwari around 12 noon proceeded to the palace of the emir, Malam Jibril Zubair II where he met with the emir and community leaders. From the palace. Malam El-Rufai proceeded to Gwaska, the scene of the latest fatal attack. Governor El-Rufai expressed his sorrow and offered condolences to the people. He said, “I came here to share the pain and anguish of our people, the predicament of innocent citizens whose lives were cut short due to the terrorism of bandits and criminals who have been tormenting us. “I and my team will be proceeding to Gwaska and other communities to see for ourselves and talk directly to the people. But I want to say again, that we are not sleeping and by the grace of God we will overcome this evil act and the terrorism being unleashed on our people. The Emir, Malam Jibril Zubair II in his response, praised the Federal and state governments for demonstrating commitment to the plight of his people. He said, “We are grateful for your deep condolences and empathy. We are grateful for all your commitment to resolving the plight of Birnin Gwari people. As a member of the State Security Council, I am in the know of Federal and State Government commitment. After prayers for the souls of those killed in the attacks, the Governor and his entourage departed the palace at 1:14 pm for Gwaska. 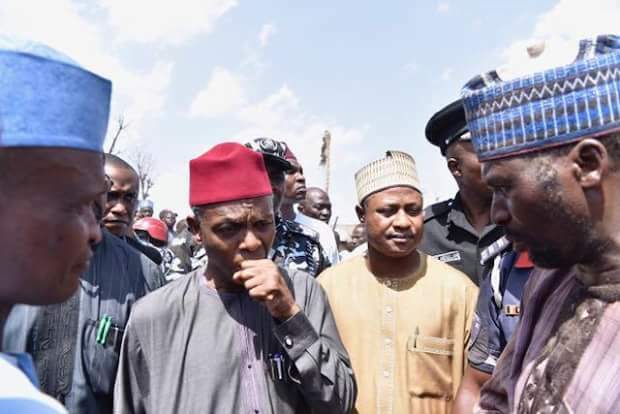 Governor El-Rufai, who arrived Gwaska at exactly 2:10 pm, was taken round and briefed by Malam Isa Musa, the leader of the community, who narrated how the bandits carried out the heinous attack. Musa said that the attackers were heavily armed with sophisticated weapons and are not ordinary gunmen. They came from different directions and circled us shooting and burning our houses with impunity. 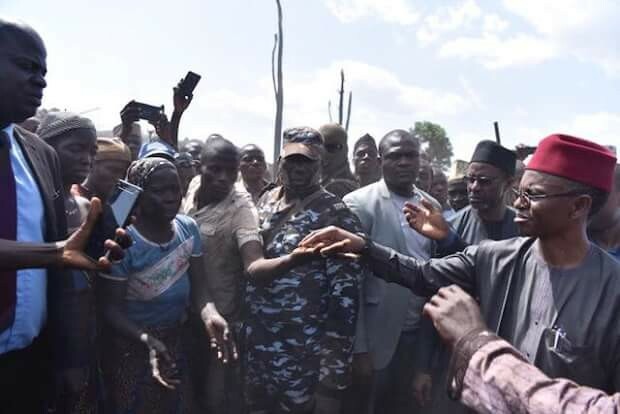 Governor El-Rufai who left the community assured them that both the state and federal governments will intensify action to address the lingering problem of rural banditry. He told the people that government will assist in rebuilding the affected communities and he urged them to continue to be law-abiding. Before departing Birnin Gwari for Kaduna, the Governor, in the company of the member representing Birnin Gwari/Giwa Federal Constituency, Rt. Hon. Hassan Adamu Shekarau, addressed the people of the area who had fled from communities that had been devastated by the attacks. The Governor briefed them on all the measures being taken by the state and federal governments to improve the security situation in their communities. The governor was accompanied by officials, including the Secretary to the Kaduna State Government, Malam Balarabe Abbas Lawal. the Garrison Commander, 1 Division, Nigerian Army, Brig-Gen O.J. Akpor, ACP Ahmad Tijjani Abdullahi, Political Adviser, Uba Sani, Security Adviser, Col. Yakubu Yusuf (Rtd), Maryam Abubakar and Samuel Aruwan, Senior Special Assistant, Media and Publicity.